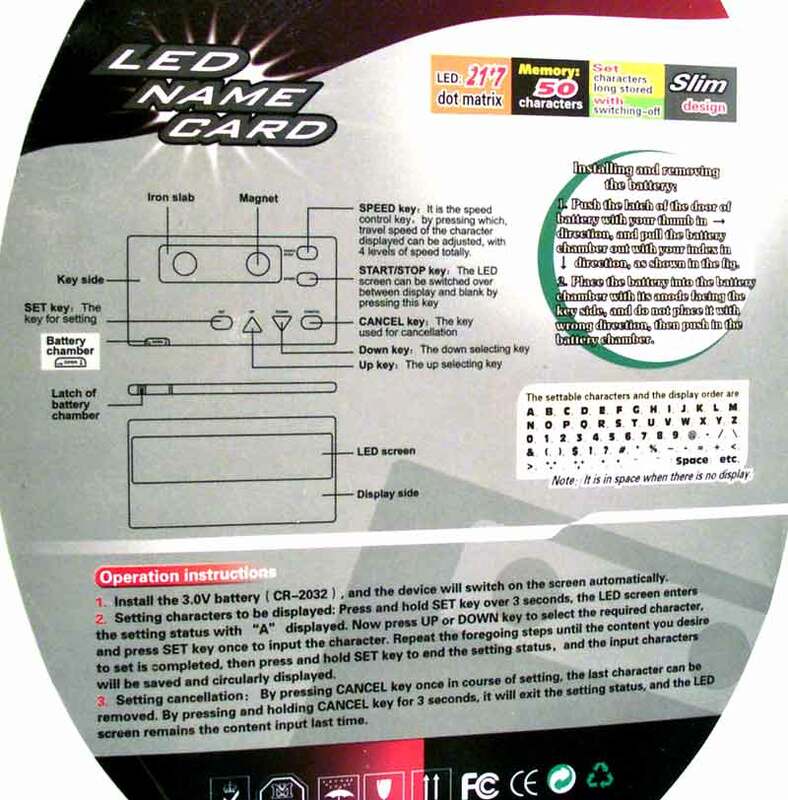 LED Name Card with 21*7 dot matrix. 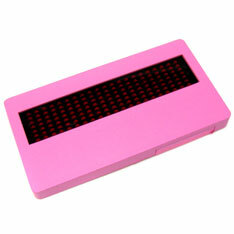 Programmable with a memory of 50 characters. Adjustable scrolling speed control. 2 - CR-2032 (3 volt) lithium batteries included. Magnetic backing. Slim design. 3 1/4 X 1/4 X 1 3/4 inch. Programmable touch keys located behind the badge -- TOTALLY SELF CONTAINED! $11.55 each for 12 or more. $10.20 each for 24 or more.